For his second solo exhibition at KÖNIG GALERIE the Belgian artist Kris Martin has installed a hot air balloon in the gallery, entirely dissolving the architecture. As if ready for launching, the balloon and basket are lying on the floor. In the main space ventilators blow up the balloon until the subtly flittering fabric touches the walls. 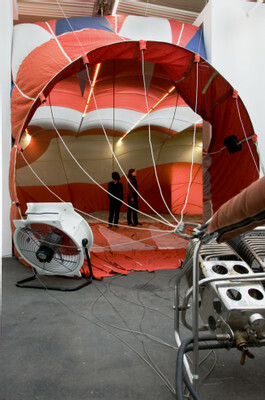 A surreal effect takes place as the visitors walk into the room through the balloon's opening, as if entering a whale's stomach. 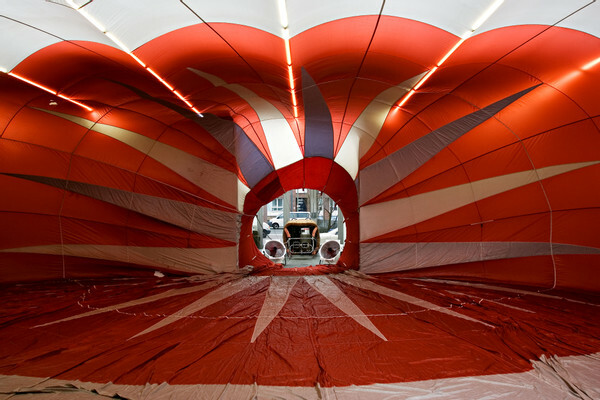 In this way, Kris Martin takes on a Romantic theme: the dream of flying in an archaic vehicle. Powered solely with flames and hot air, the balloon floats over the earth without making almost any sound. The installation in the gallery space turns this metaphor for freedom into a downright claustrophobic fantasy. 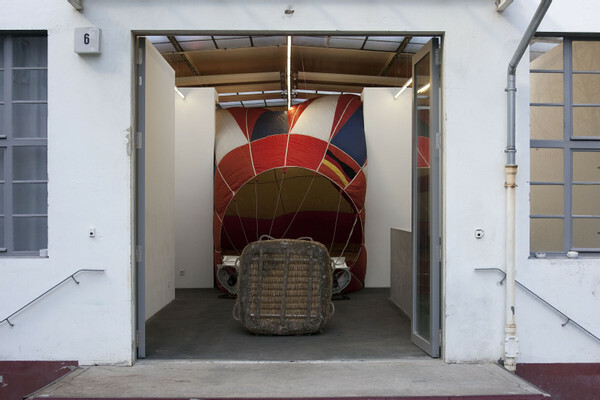 The balloon wants to fly, but the White Cube holds it firmly in place. 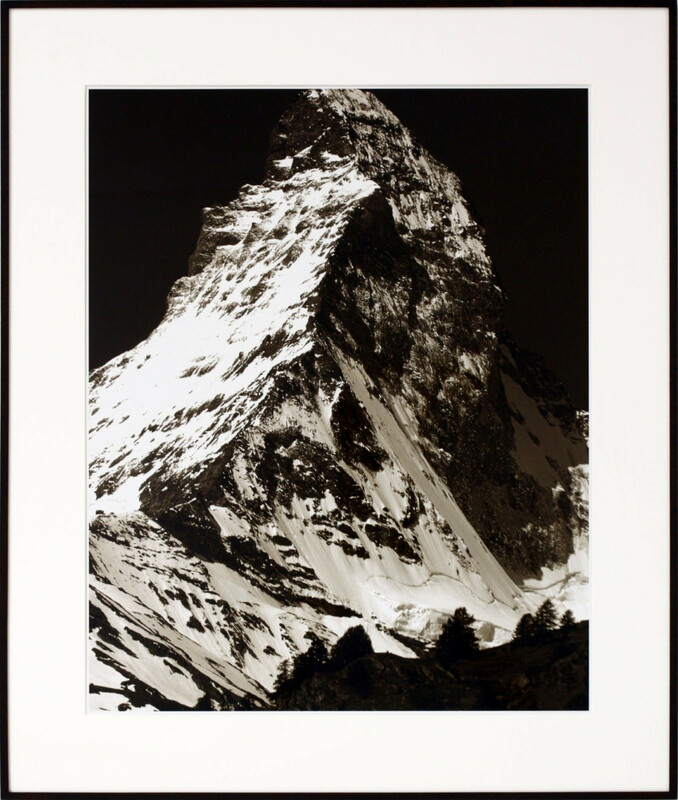 In the second smaller space, Kris Martin exhibits a photograph of the Matterhorn, which he bought at an image agency and slightly modified. Framing the photograph, the artist has changed the image so that the crest of the mountain is cropped. Only the way leading to the peak can be seen: the cumbersome route, the trying ascension, the life-risking venture – but goal vanishes behind the fog. Just as the hot air balloon, Martin makes use of an image with a strong symbolism. The Matterhorn is one of the few mountains in the world whose outline can immediately be recognized by many people, its contours standing for the longing to overcome existential limits. “Martin explores his subjects with a particular mixture of melancholy, playfulness and elegance that is reminiscent of the work of artists such as James Lee Byars, Cerith Wyn Evans or even Félix González- Torres, with their intense awareness of the ephemeral and fragile, their minimal yet decadent visual styles and their Romantic, frequently humorous yet conceptually rigorous method”, writes Jens Hoffmann. Working within a conceptual tradition with different Media such as drawing, photography, collage, objects or Ready-made, Kris Martin's work is characterized by its sensuous dimension. The artist often uses pre-codified material as a starting point, minimally transforming it so that the elements lose their original function. A blank space is created: A hot air balloon that doesn't fly, a mountain whose tip has been hidden. It is within this emptiness where a space for imagination opens itself. The spectator can then take on the invitation to fill up this space with fantasy. Kris Martin (*1972, in Kortrijk, Belgium) lives and works in Ghent. Solo exhibitions of the artist have taken place at the P.S.1 of the Museum of Modern Art in New York, the Wattis Institute for Contemporary Arts in San Francisco as well as in the GAMeC in Bergamo, Italy, among others. 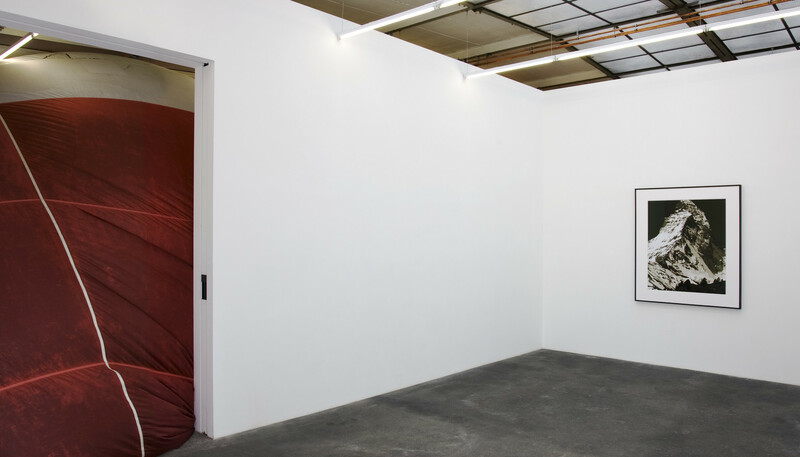 The artist also participated in the group exhibition „Political/Minimal“ at the KW – Institute for Contemporary Art in Berlin. From the 18th of April, his work can be seen in the group exhibition „The Quick and the Dead“ at the Walker Art Center in Minneapolis. In December 2009, the artist will have a solo exhibition at the Aspen Art Museum in Aspen, Colorado, USA.